Hero Honda Motors on Friday said it has changed its name to Hero MotoCorp following the exit of its erstwhile Japanese promoter, Honda, from the company. 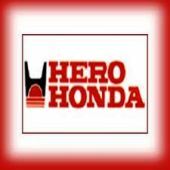 "Hero Honda Motors Ltd was on Friday formally renamed as Hero MotoCorp Ltd. In the run-up to the unveiling of its new global brand identity, the world's largest two-wheeler manufacturer received the necessary statutory approval from the Registrar of Companies on Friday for the changeover to the new name," the company said. Commenting on the development, Hero MotoCorp managing director and chief executive officer Pawan Munjal said: "It marks the beginning of a new era of innovations -- be it in the field of technology and product development or customer satisfaction and expanding our footprint across global markets." had hired global brand and innovation specialist Wolff Olins to create its new brand identity. Later on, in May, the two-wheeler major roped in Law & Kenneth as a creative partner to launch and establish the new brand of the company. The independent brand communications firm was mandated to devise the new brand positioning of the company. The Hero Group had agreed to buy out Honda's 26 per cent stake in HHML for Rs 3,841.83 crore (Rs 38.41 billion). Shares of the company were trading 1.17 per cent down at Rs 1,800.75 apiece on the Bombay Stock Exchange in the afternoon on Friday.